The past two years have seen the buzz over selfies rise to fever pitch, along with a general acknowledgement that they are somewhat silly and narcissistic. Add “uncivilized” and “dangerous” to that list, and the selfie fad may be on the decline, if not banned outright. That’s exactly what’s happening at museums and historical sites around the world, primarily due to the rise of the “selfie stick,” a long pole which holds a phone and allows photographers to snap themselves from a more respectable distance. 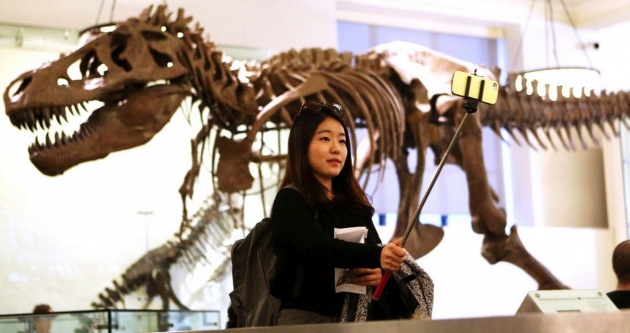 The Smithsonian in Washington, DC, the Colosseum in Rome, and Versailles in France have all now banned selfie sticks. Following close on their heels are the purveyors of popular culture – Coachella, Lollapalooza, and other music festivals, which have now also instituted bans. The stated concern is safety for both people and things, given the rising risk of selfie stick-wielding crowds becoming hopelessly entangled and damaging priceless artifacts and amplifiers. Is this the beginning of the end of selfie sticks, or simply the end of the beginning?